Baden-Baden’s annual Easter Festival returns this April with a series of incredible performances. 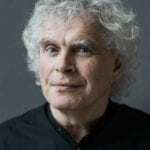 Sir Simon Rattle and the Berlin Philharmonic Orchestra bring Puccini’s Manon Lescaut (directed by Sir Richard Eyre), Bach’s St. John Passion (ritualised by Peter Sellars) as well as concerts with Sol Gabetta and Anne-Sophie Mutter to the stage of the Festspielhaus. Magdalena Kožená sings the roles of Ein Musiker in Manon Lescaut, Mary Magdalene in the St. John Passion, and as soloist in a concert of Berio Folk Songs with Simon Rattle and members of the Berlin Philharmonic Orchestra. 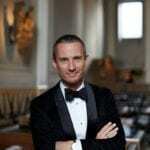 Speaking about the Festival, Sir Simon said “We have tried to give programmes which are very, very varied. I cannot think of a link between all of these works, except that they are all extraordinary pieces […] I hope you will come and join us at these concerts – I hope you will enjoy them. We are so lucky to have the opportunity to really make our own Festival in Baden Baden […] For us this is a magnificent opportunity and a wonderful way to spend Easter”.